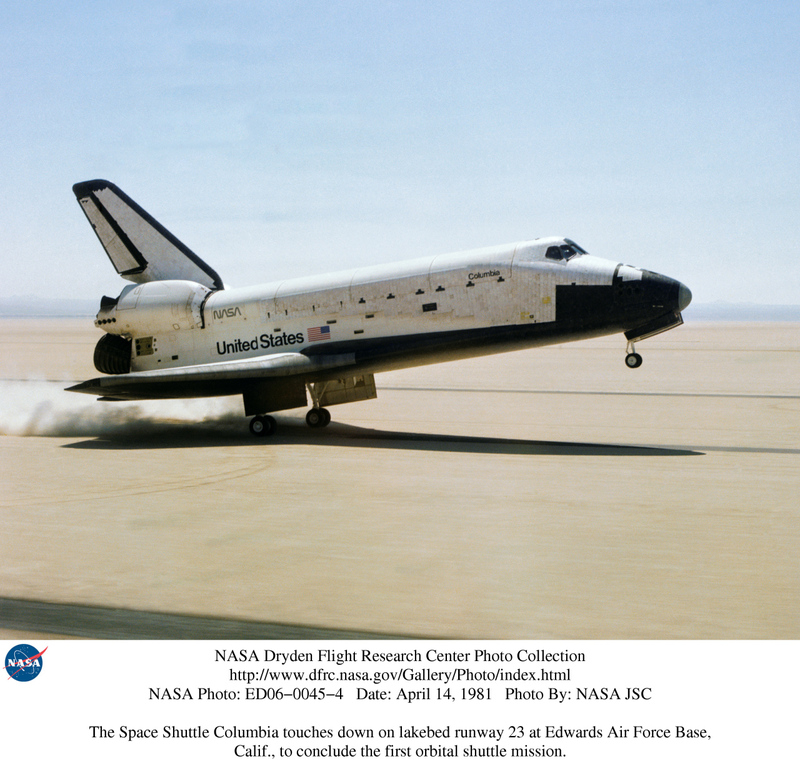 10:21 a.m., PST, 14 April 1981: The first space shuttle, Columbia, touches down on Runway 23, Edwards Air Force Base, California, completing the first space flight of the United States’ shuttle program. With its two-man crew, commander, veteran astronaut John W. Young, and pilot Robert L. Crippen, Columbia traveled 1,074,567 miles (1,729,348 kilometers) on its 37-orbit journey, in 54 hours, 20 minutes, 53 seconds. Oh Columbia how we miss u… well lessons learned I hope. Very good times. My Dad and I watched the launch on TV before this. We didn’t set to see the landing. Great shot of the touchdown! YES, we miss you Columbia. I remember watching the landing. My eyes were filled with pride and amazement at what had just been accomplished.